pUvirunthavalli – thirukkachi nambi thiruvavathAra uthsavam days 10 and 11 (yesterday/today) – http://puvirunthavalli.koyil.org/?p=415. pUvirunthavalli – thirukkachi nambi thiruvavathAra uthsavam day 9 (yesterday) – http://puvirunthavalli.koyil.org/?p=415. pUvirunthavalli – thirukkachi nambi thiruvavathAra uthsavam day 8 (yesterday) – http://puvirunthavalli.koyil.org/?p=415. 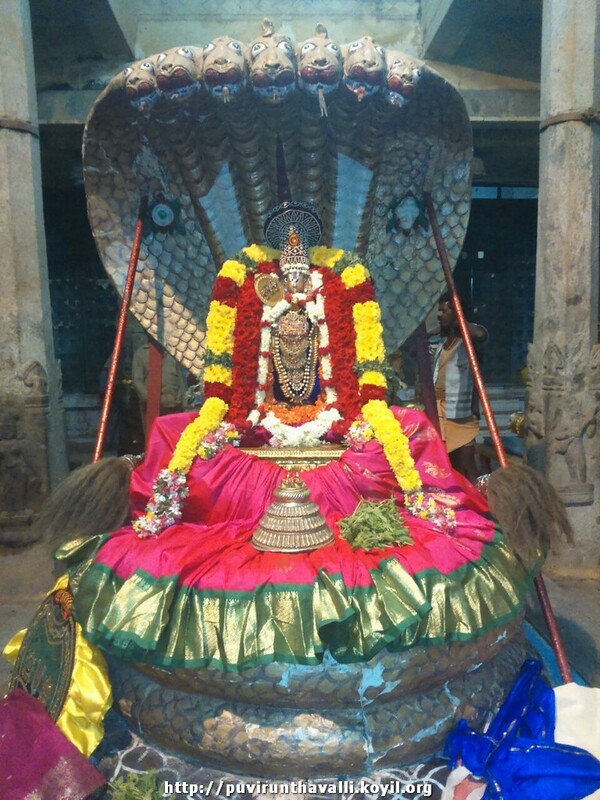 srIperumbUthUr embAr jIyar mutt – varthamAna (current) jIyar swamy thirunakshathram celebrations day 3 completion – http://embarjiyarmutt.koyil.org/?p=133. pUvirunthavalli – thirukkachi nambi thiruvavathAra uthsavam day 7 (yesterday) – http://puvirunthavalli.koyil.org/?p=415. srIperumbUthUr embAr jIyar mutt – varthamAna (current) jIyar swamy thirunakshathram celebrations day 2 – http://embarjiyarmutt.koyil.org/?p=133. 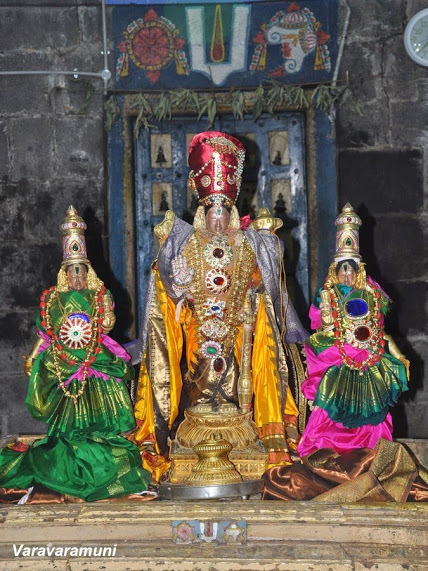 pUvirunthavalli – thirukkachi nambi thiruvavathAra uthsavam day 6 (yesterday) – http://puvirunthavalli.koyil.org/?p=415. pUvirunthavalli – thirukkachi nambi thiruvavathAra uthsavam day 5 (yesterday) – http://puvirunthavalli.koyil.org/?p=415. srIvaishNava Education Portal – new article on dhivya prabandham (the most valuable gift from AzhwArs) – http://pillai.koyil.org/?p=948 as part of Beginner’s guide (http://pillai.koyil.org/?page_id=35) series. pUvirunthavalli – thirukkachi nambi thiruvavathAra uthsavam day 4 (yesterday) – http://puvirunthavalli.koyil.org/?p=415. dhivya prabandham – kaNNinuN chiRuth thAmbu – pAsuram 11 – http://divyaprabandham.koyil.org/?p=1343 . Full series can be viewed at http://divyaprabandham.koyil.org/?p=1232. With this, the English translation for this dhivya prabandham is completed. Will prepare and send the e-book soon.